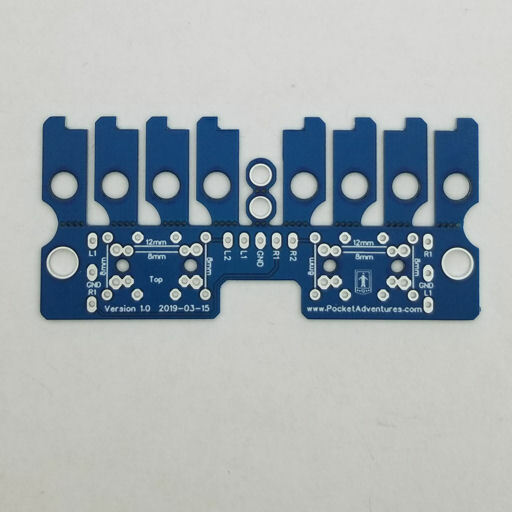 The DMG Shoulder Button Board provides a flexible solution for adding rear buttons to your build. 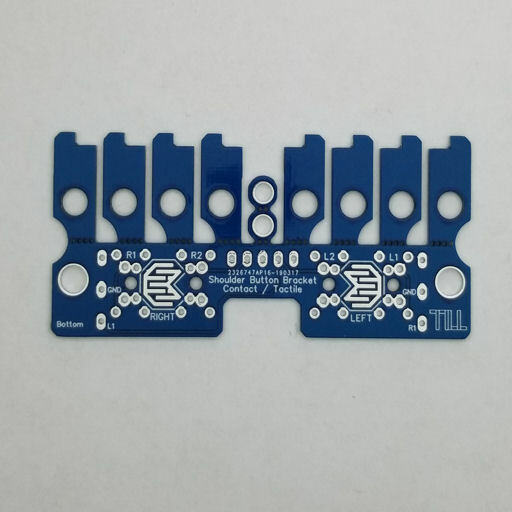 It has built-in contact pads, as well as through-holes for mounting 8mm or 12mm Tactile Switches. Once separated, the pieces can be arranged in 1mm height increments, to raise or lower your buttons as necessary. It's designed to be used in conjunction with the shoulder button bracket, drill guide and button height extenders (available here). Note that if you utilize all six of the front buttons, the shoulder buttons can still be added to create an 8-button build. You'll want to wire them to the RT2 and LT2 GPIO pins (BCM 14 and 15) which are included in the Retrogame setup instructions.